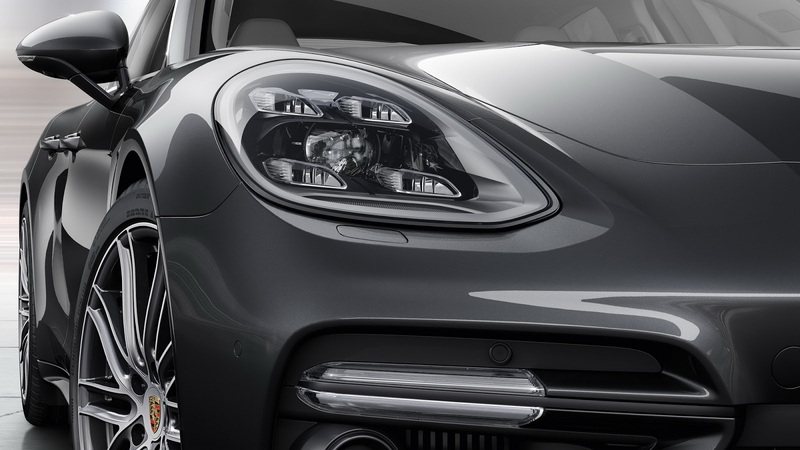 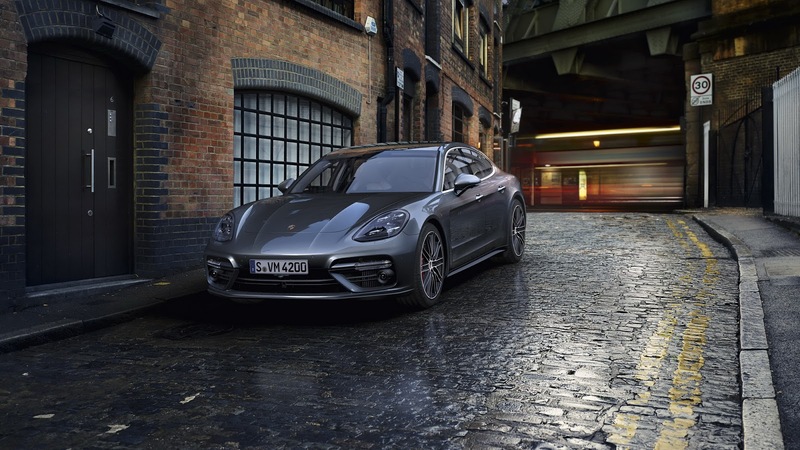 Porsche has taken the veil off the 2nd-generation 2017 Porsche Panamera. Looking sharper than the outgoing model, Porsche says it has worked hard to improve on the old model’s bloated look, redeveloping and redesigning it “down to the last detail”. 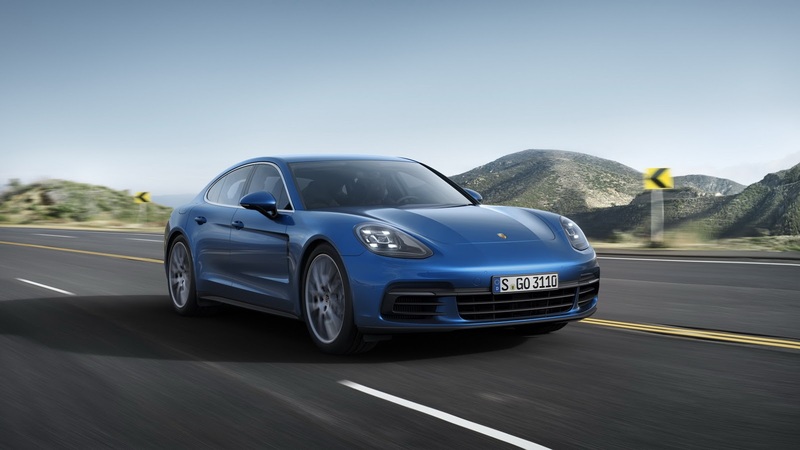 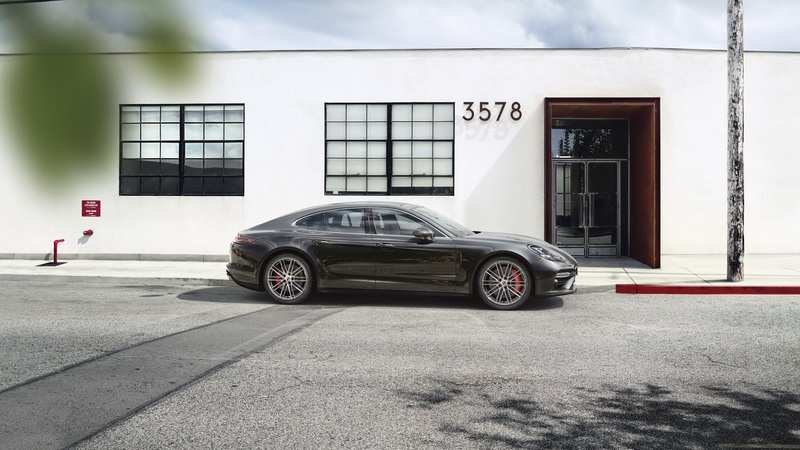 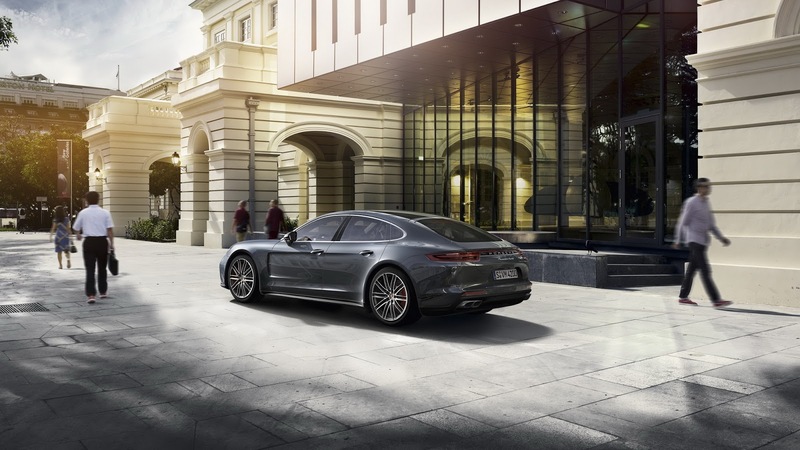 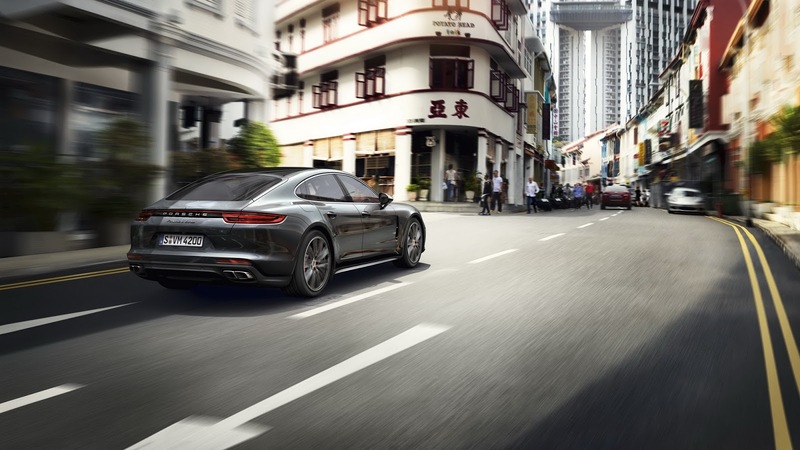 While still instantly recognized as a Panamera, the 2017 model gets a sportier silhouette, thanks to its coupe-like roofline that reduces the height above the rear passenger compartment by 20mm. 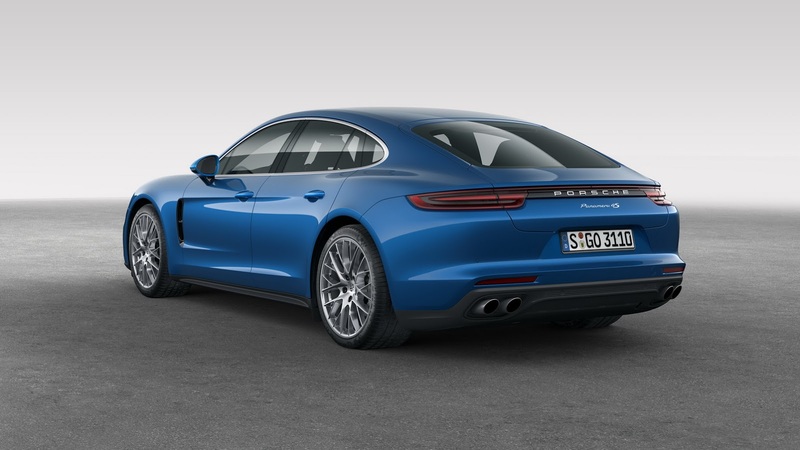 A combination of shorter front overhang and a 30mm longer wheelbase also results in better proportions. The new Panamera now looks more like a 911 than a squashed Cayenne. 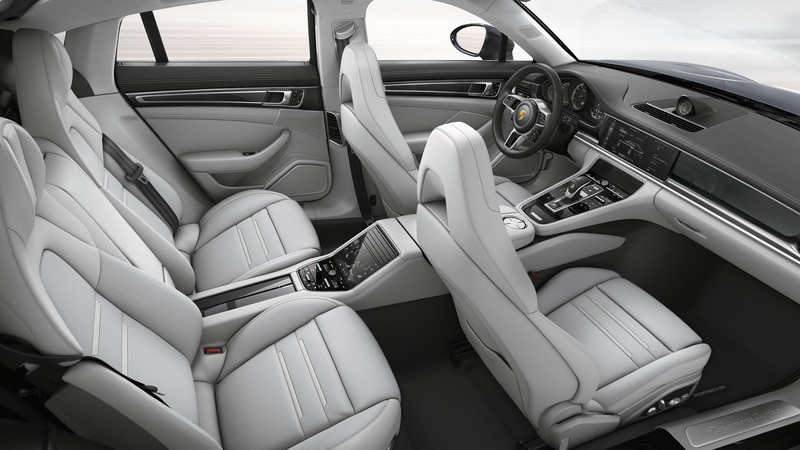 Inside, the change is even more dramatic. 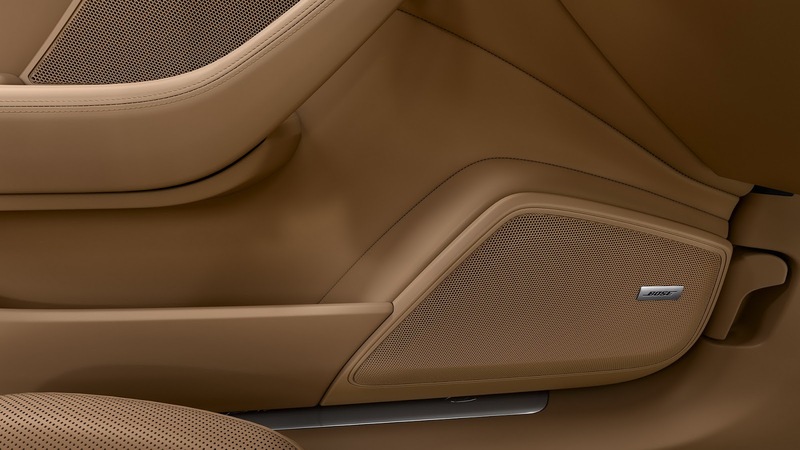 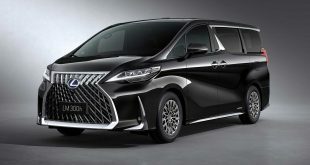 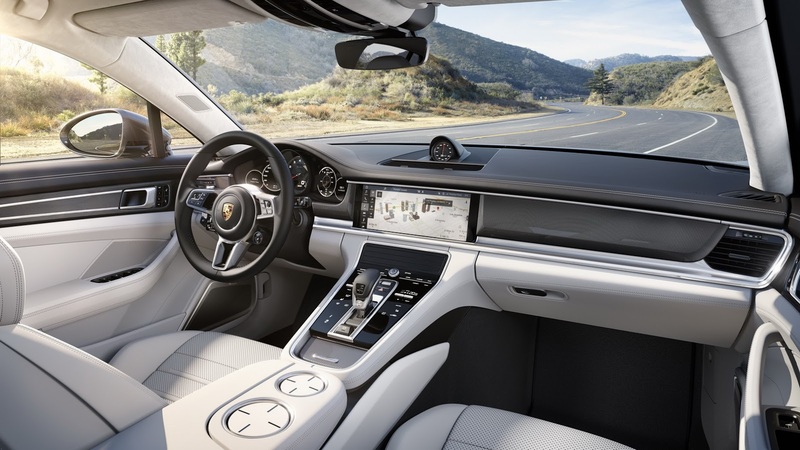 There’s an array of touch sensitive surfaces that replace the previous model’s buttons, including the central air vents that are electrically adjusted by touch-sensitive sliders. 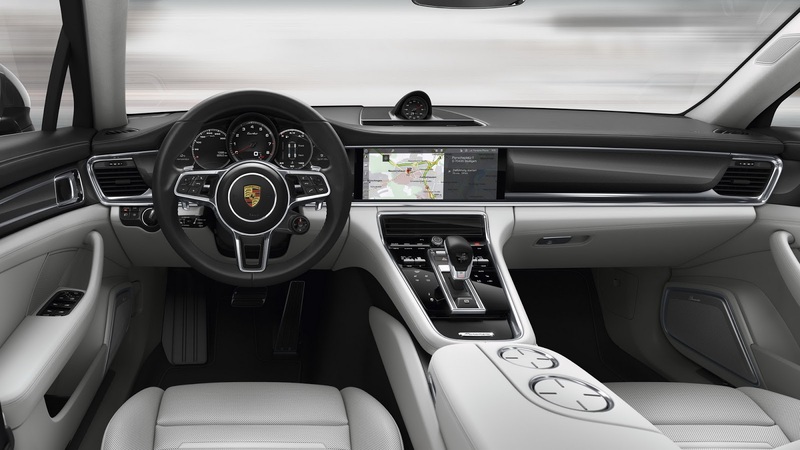 The dash is dominated by a 12.3-inch touchscreen featuring the next-generation Porsche Communication Management (PCM) system, while the driver is greeted with an analogue tachometer flanked by two high-resolution multi-information screen. 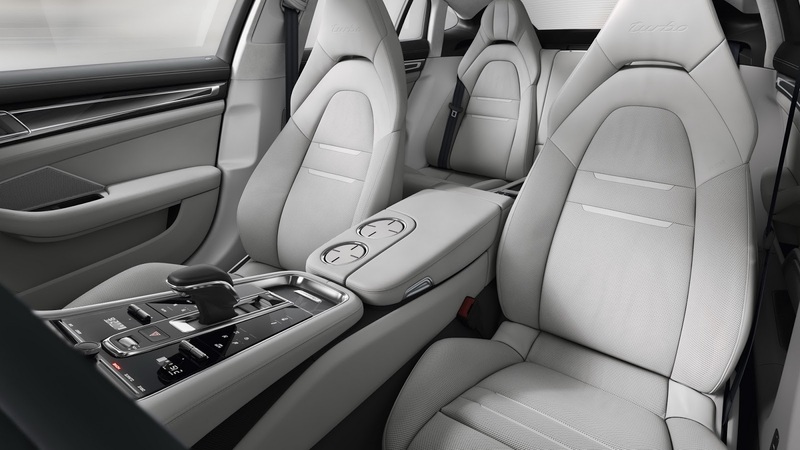 At the back, rear seat passengers are also treated to a digital screen when optioned with the four-seat layout. 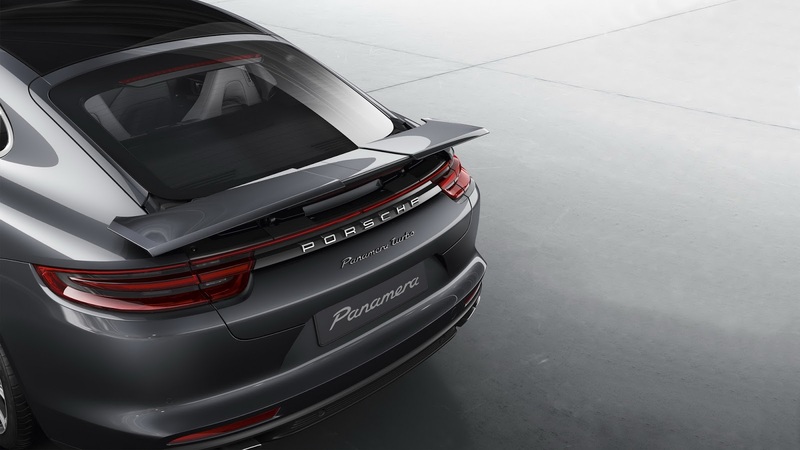 Porsche’s latest four-door saloon offers 495 litres of luggage capacity, expanding to 1,304 litres with the 40:20:40 rear seat folded. 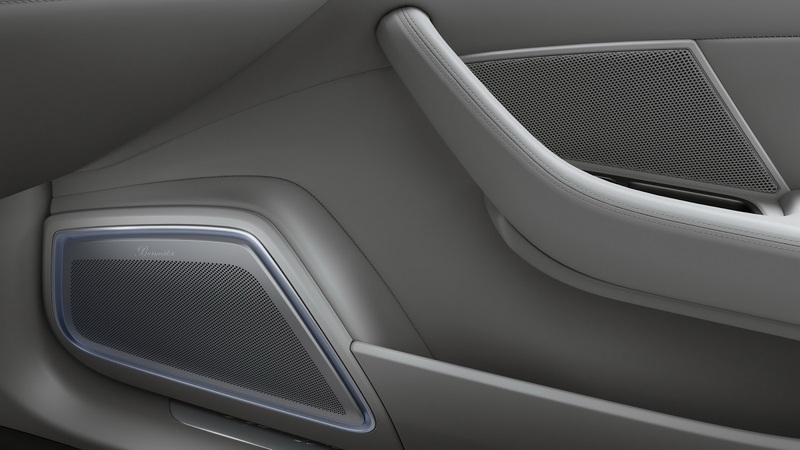 Equipment highlight include a panoramic tilt roof, massage seats, ambient lighting and a 3D high-end sound system from Burmester. 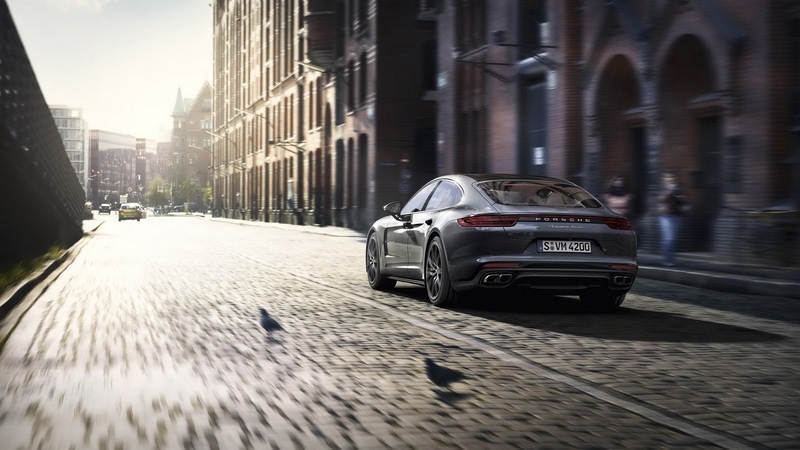 The 2017 Porsche Panamera is based on Porsche’s MSB (modular standard architecture) platform and comes packed with chassis technology. 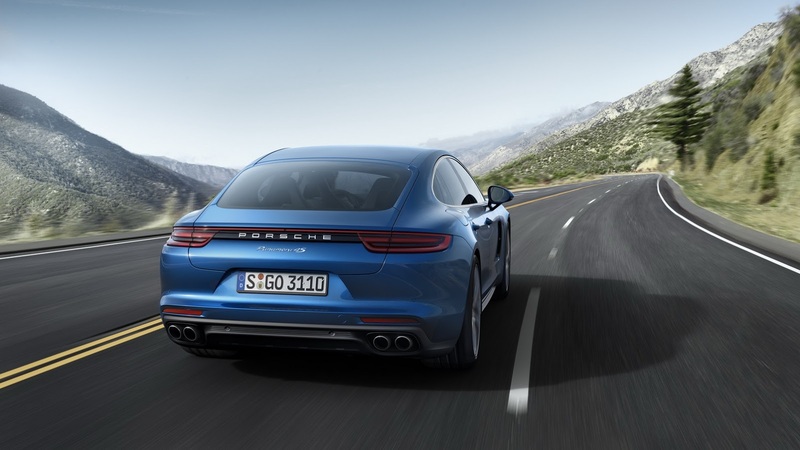 These include an adaptive air suspension with new three-chamber technology, including Porsche Active Suspension Management (PASM electronic damper control), enhanced Porsche Dynamic Chassis Control Sport (PDCC Sport) system with Porsche Torque Vectoring Plus (PTV Plus) and active roll stabilization, along with a new electromechanical steering system. 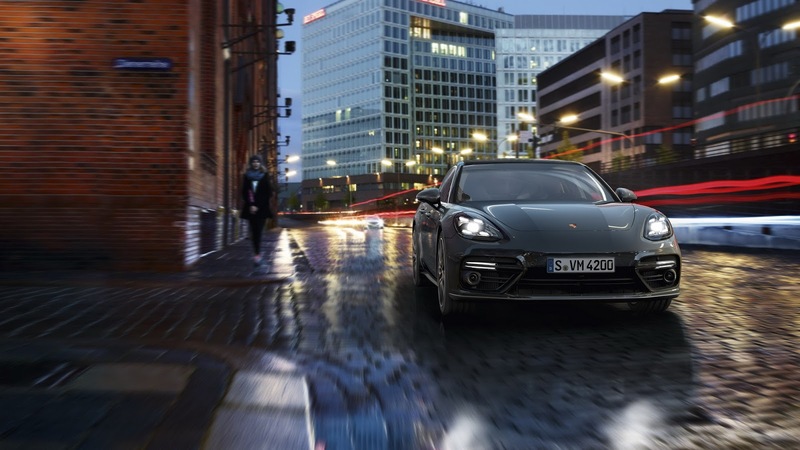 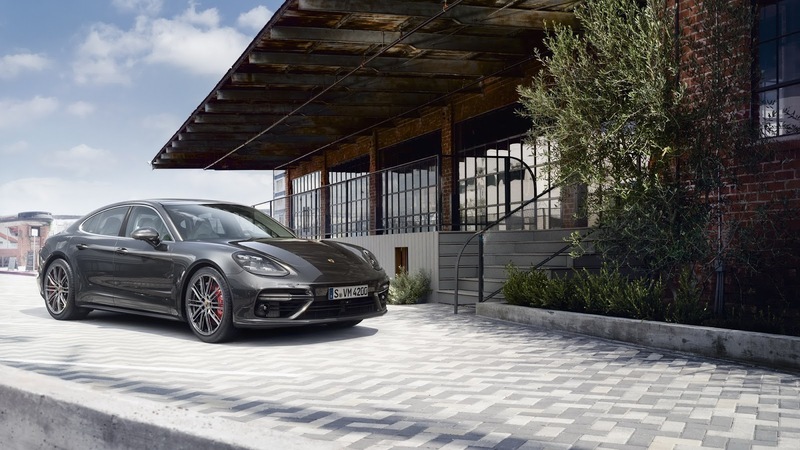 For the first time, the Panamera will get Porsche’s rear-wheel steering first introduced in the 918 Spyder and 911 Turbo, while brake performance is said to have improved over the outgoing model. 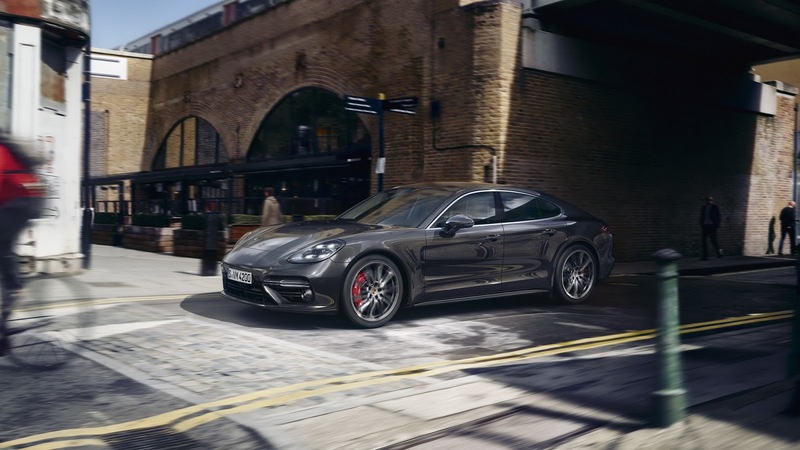 At launch, the Panamera will be offered with Porsche’s new 2.9-litre biturbo V6 and 4.0-litre biturbo V8 petrol engines, and a 4.0-litre V8 turbodiesel featuring permanent all-wheel drive – a first for the model. 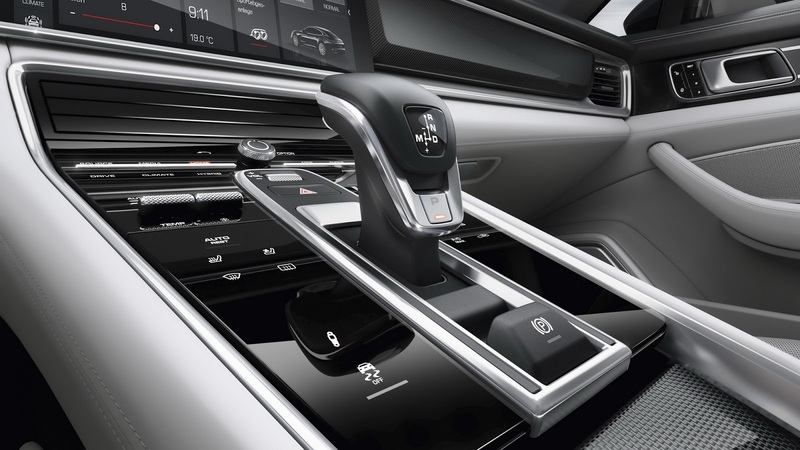 All engines are married to a new 8-speed dual-clutch transmission and an updated version of the previous model’s all-wheel drive system. 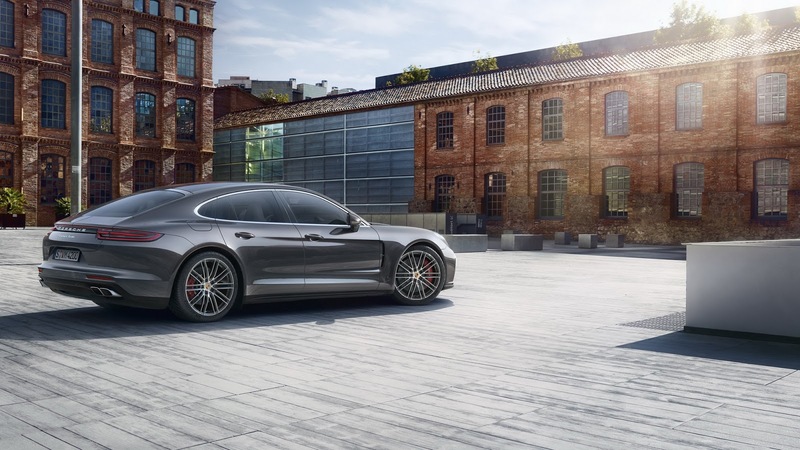 The 2.9-litre biturbo V6 powering the Panamera 4S produces 324kW and 550Nm of torque (up 15kW/30Nm), enough to send the four-door saloon to 100km/h in a claimed 4.4 seconds or 4.2 seconds with the optional Sport Chrono Package. 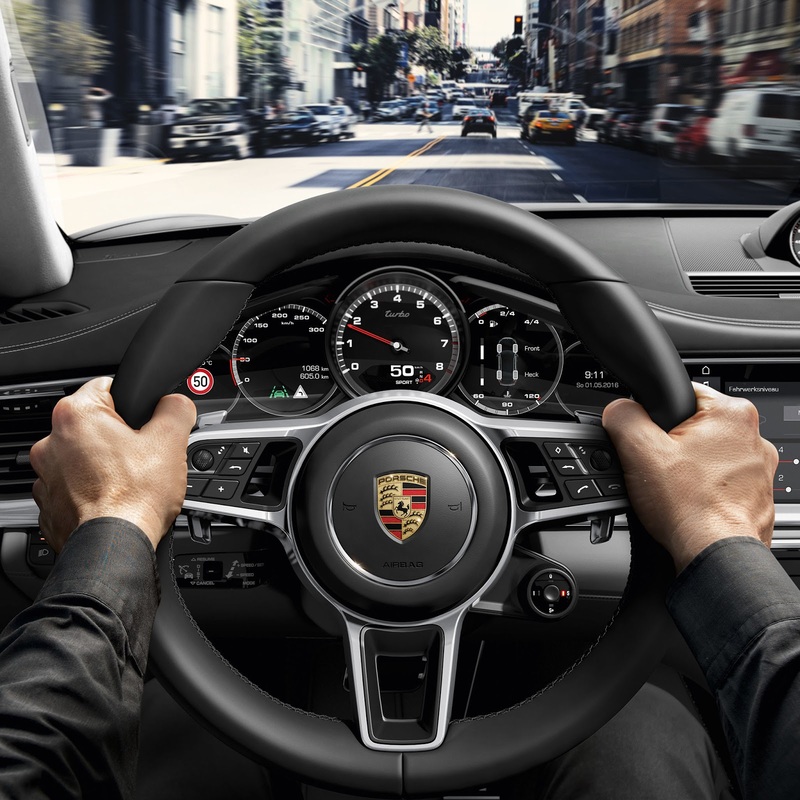 Top speed is rated at 289km/h, while fuel consumption is a claimed 8.1 – 8.2L/100km, a reduction of up to 1.0L/100km. 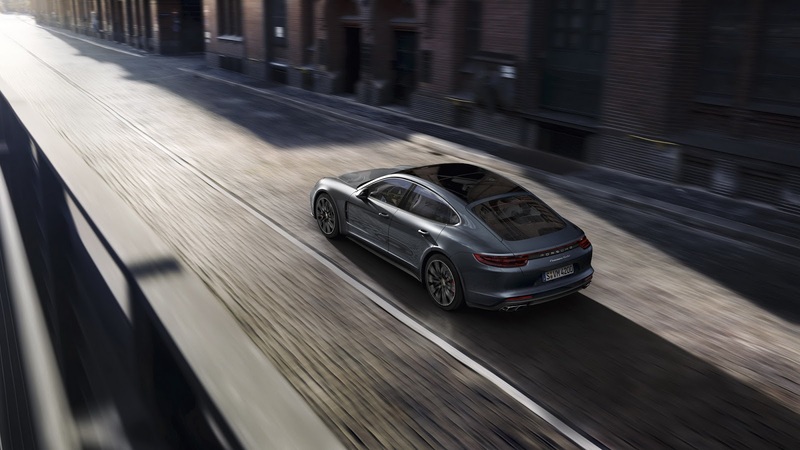 Meanwhile, the range-topping Panamera Turbo is powered by the 4.0-litre biturbo V8 generating 405kW and 770Nm of torque (up 22kW/70Nm), giving it a power-to-weight ratio of 4.8kg/kW. 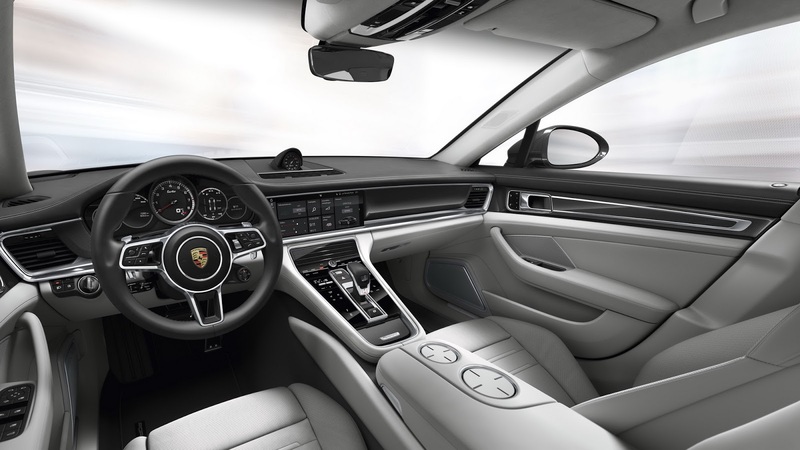 It is said to hit 100km/h in 3.8 seconds or 3.6 seconds with the Sport Chrono Package, while top speed is rated at 306km/h. Porsche claims the Panamera Turbo will consume between 9.3-9.4L/100km on average, or up to 1.1L/100km more efficient than the old model. New to the range is the Panamera 4S Diesel propelled by a 310kW/850Nm 4.0-litre V8, making it the most powerful production diesel Porsche ever. 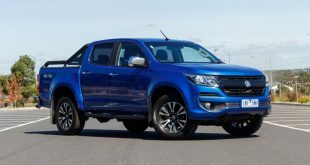 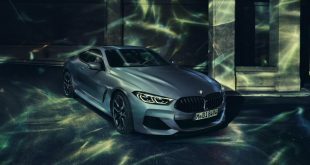 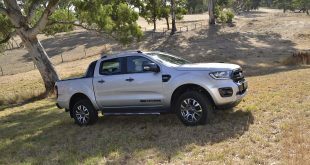 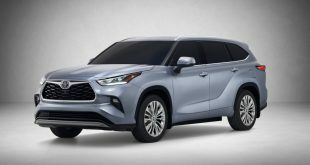 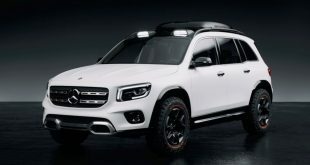 It will blast from 0-100km/h in a claimed 4.5 seconds, or 4.3s with the Sport Chrono Package, while promising an average fuel consumption of 6.7-6.8L/100km. 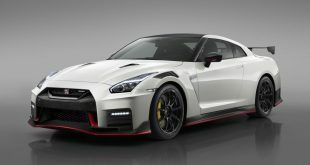 Top speed is rated at 285km/h. 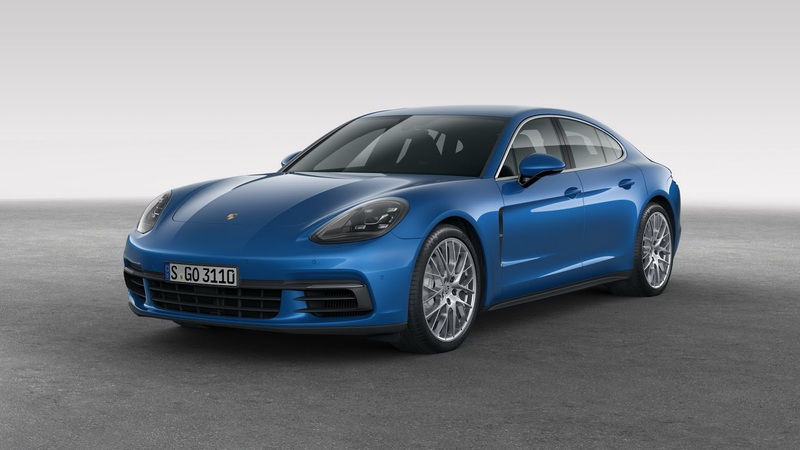 More powertrain will be added to the lineup progressively, including a plug-in hybrid variant. 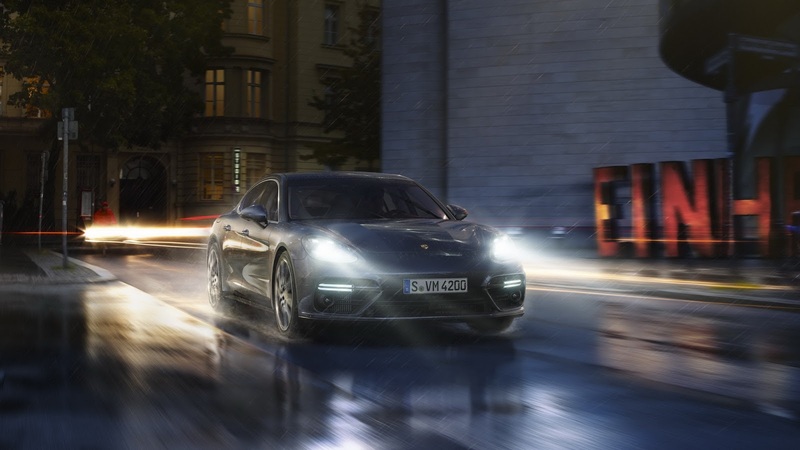 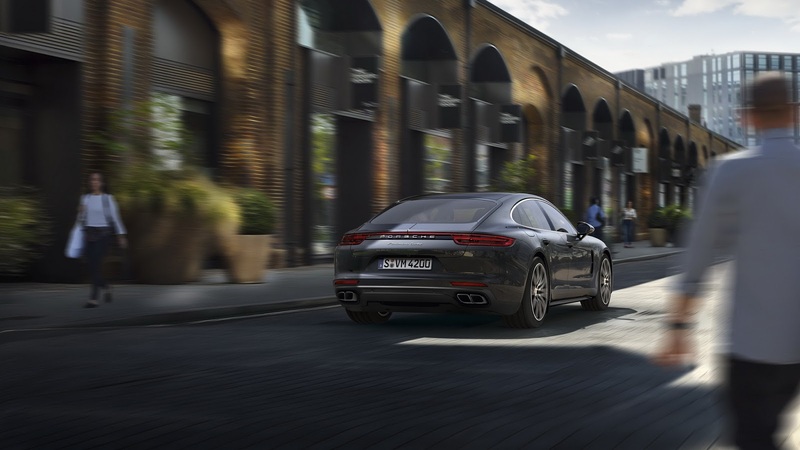 The 2017 Porsche Panamera is expected to arrive in Australia in early 2017.